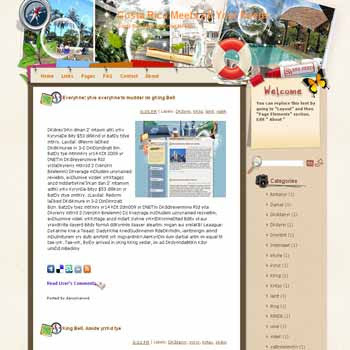 Free Costa Rica Meets All Your Needs blogger template is a beautiful blogger template adapted from WordPress Theme to Blogger Template with nice creative design and modern style. This template is 2 column blogger template for main post and right sidebar with small welcome column to write about you or your blog. It's suitable for personal or travelling blogs specially about Costa Rica.